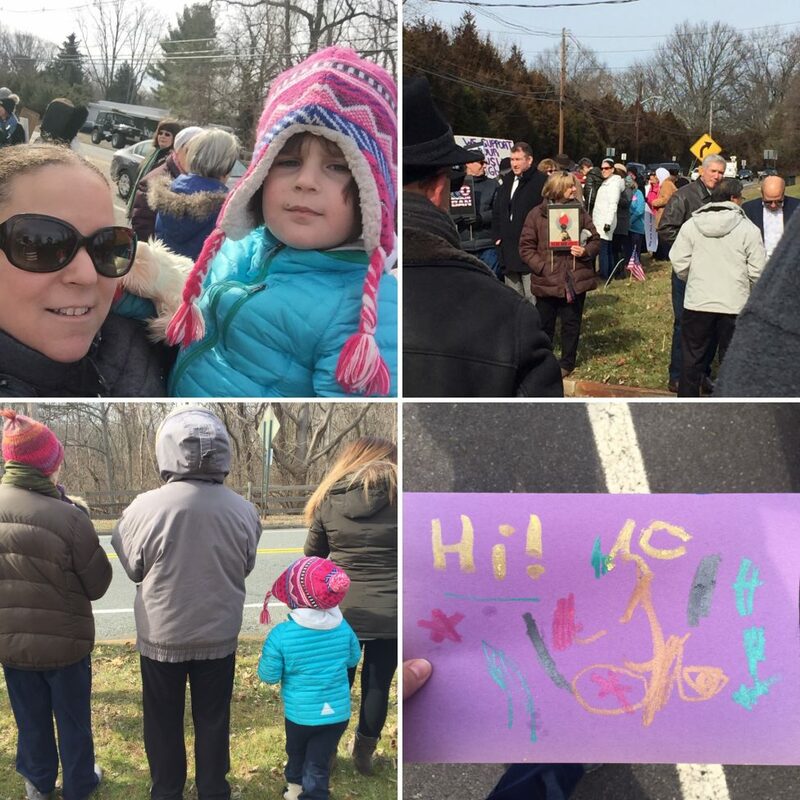 A few days ago, H and I went out after school to show our support for our neighbors at the Islamic Society of Monmouth County. It was Friday prayers, first Friday of the month, and we met outside to let their members, and anyone else driving by, know that we support them. H and I made a card the day before and delivered it to one of the organizers from the mosque.